Just a few more 2019 yearbooks left! 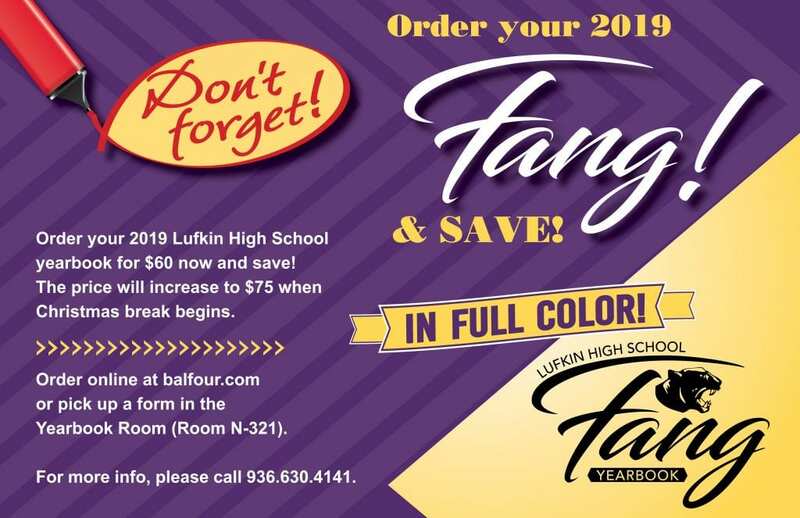 As of April 17, 2019, there were only a few more copies of the 2019 Fang Yearbook available to pre-order. You can order by visiting https://www.balfour.com/shop/yearbook?smi=72775 or by filling out a form and submitting payment in Room N-321 of the high school. Books are $75 apiece (plus $5 to $15 for optional personalization). The limited number of yearbooks that are still available may not last long, so order online to make sure you get your book. 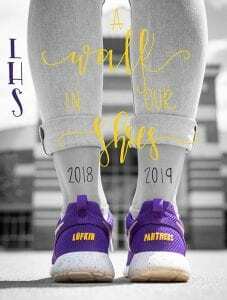 The theme of the 2018-19 yearbook is “A Walk in Our Shoes.” We thank you for supporting the Fang Yearbook program while you secure your Lufkin High School memories for decades to come! Purchase A Yearbook Ad for Your Senior! Please use this form to order a 2019 yearbook ad for your graduating senior. 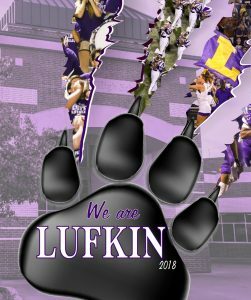 You can email your ad (or ad materials) to aadams@lufkinisd.org or send it to Room N-321 of the high school (down the hall next to the auditorium). Also, don’t forget to send us a baby photo for your senior (by Friday, April 12). You can email it to aadams@lufkinisd.org or bring it to Room N-321 for us to scan. There is no charge to submit a baby photo of your senior. 2018 Fang Yearbook Still Available! Copies of the 2018 Fang Yearbook are still available. You can purchase one for $75 in Room N-321 of the high school (down the hall closest to Tom Jack Lucas Auditorium). If you’re paying by check, please make it out to “LHS Activity Fund.” If you pre-ordered the 2018 yearbook, you can pick it up now!